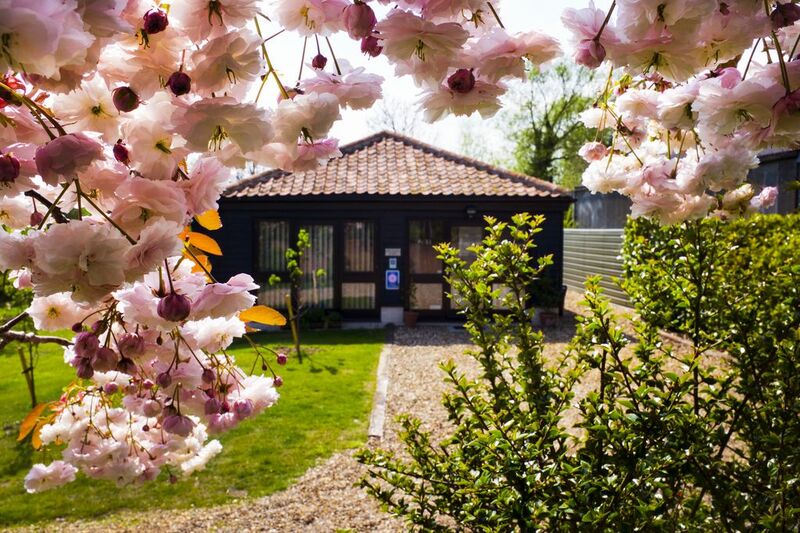 Orchard Barn, a South Norfolk escape, perfect for you and your dog. Orchard Barn is a contemporary 2 bedroom property, retaining main of the original beams. It has a large open plan living area which benefits from a picture window looking over the fields. It has a well equipped kitchen and benefits from a dishwasher and washing machine. The bio-ethanol fire is an added feature, perfect for those cooler evenings. Outside it has a patio area complete with garden furniture, a chiminea and BBQ. The garden is secure for dogs. During the Summer months there is the optional use of a Showmans Wagon which can provide two extra bed spaces - additional costs will be charged - please enquire when booking. The wagon is situated in the orchard, very close to the property. We do provide walkie talkies to enable communication. This facility is only available May - September. We made the move from Norwich to Sisland to set up a B & B , holiday accommodation business leaving behind the worlds of teaching & Wheat breeding. Love living in this small rural community, kept busy by two dogs and three cats! Once you see it, you'll know exactly why. Stunning rural setting, wildlife in abundance but really excellent access routes to Norwich, Beccles and beyond. The location - a fantastic base from which to discover all that East Anglia has to offer. Newly renovated in November 2017, the Bathroom contains a large shower cubicle, wash basin with storage and wc. Heated towel rail. Mirror, light with shaver socket. Internet is available, but please remember this is rural Norfolk! 2 comfy sofas. Formal dining table & chairs. Access to the Orchard, but a secure area for our four legged friends. Garden table and chairs and a chiminea. A perfect place to stay to discover East Anglia. A well presented, comfortable property in peaceful countryside. After easily finding Orchard Barn(using sat nav) we found ourselves at a very pleasant site, and on entering the barn we found a very comfortable and well maintained place to spend our holiday, and will be returning and recommending to our friends. Stay was great. Owners were very welcoming. Only downside was the WiFi which didn’t work, signal was much too weak. Thank you for taking the time to write a review - we are glad you had a good stay, unfortunately WiFi is an issue, sometimes it works perfectly, other times not - but sometimes it is a good excuse to switch off from the hussle & bussle of day to day life and enjoy a break in beautiful rural Norfolk. If you're looking for a complete break away from it all in rural Norfolk then this is the place to stay! We had a lovely 4 night stay in Orchard Barn and Lesley and Jane were most welcoming. It is so well equipped with everything you could possibly need away from home, with thought given to the decor and furnishings, and extra touches of the books, box games and information leaflets! The barn itself is very spacious. We were blessed with fantastic weather and the private patio area is very relaxing and so quiet. With only a short drive to the coast or the Broads it is ideally situated. We would definitely love to go back! Thank you for taking the time to write a review. We are glad you enjoyed your stay with us and we look forward to seeing you again in the future. This is an immaculately maintained property inside and out. Everything you could possibly need has been thought of. There is a lovely view from the barn looking out across the tree tops to the field beyond. It is a short drive off the main road down a very quiet lane. Jane and Lesley took the trouble to put up a temporary fence so that we could sit and relax without worrying about the dogs running out to the lane, although the lane is so quiet cars were a very rare sight! There is a secluded patio with solar powered fairy lights making it a lovely place to sit as the sun goes down. We really didn't want to leave! It is a 5 minute drive into the village of Loddon which has a couple of pubs and a well stocked Co-Op, also recommend the local farm shops. Highly recommend Orchard Barn. Thanks for taking the time to review Orchard Barn, we hope you enjoyed the rest of your travels and maybe see you again in the future. The cosy barn came complete with thoughtful extras to make the stay comfortable with a great Christmas feel. Our dog was equally considered with treats and dog bowl. The barn is surrounded by good dog walking countryside. All contributed to a most enjoyable stay. The house was very clean and the owners thought of everything you could need. The area was very quiet and peaceful. The owners were very helpful in suggesting towns and restaurants we could visit. One of our favorite towns was Aldeburgh. It's on the seacoast and has some good stores and restaurants. We would definitely return! Although you will feel miles from anywhere within one of Norfolk's smallest villages, we are only 1 mile from the main road which gives excellent access to both Norwich and south into Suffolk. The coast is within easy reach, as are the Norfolk Broads. So much to see and do - you will find you run out of time and will want to return.